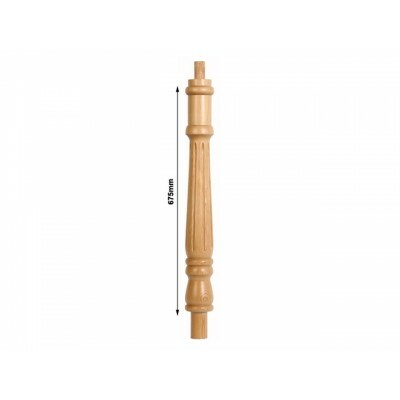 Continuous Newel post - PST-5 newel posts are used when a continuous handrail will pass over it. Produced in the traditional and popular Georgian style, with the addition of decorative fluting. 675mm, to be used with continuous THR handrail. Shown here in Hemlock, but produced in a choice of high-quality timbers or as a white primed piece, all ready to be painted or finished however you prefer.